When contemplating the water people put into their bodies every day, it’s easy to feel overwhelmed. The average cost of bottled water is staggering, estimating up to 2000 times the cost of tap water. Considering how similar bottled water is to tap, the price is especially insulting. Believe it or not, the majority of bottled water is equal to standard tap water. Most municipal water systems and bottled water sources are fairly equal in terms of contaminants. Research shows that tap and bottled water contain harmful toxins such as lead, mercury, and Volatile Organic Compounds (VOC’s), which are organic chemicals like herbicides, pesticides, and industrial solvents. All of these pollutants are proven to have negative compounding long-term health effects. The best way to guarantee the purest drinking water is by investing in a drinking filtration system. The following guidelines and considerations on water filters will help provide the most informed option. 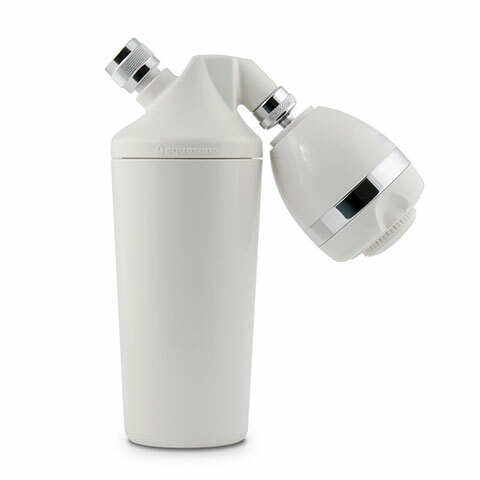 If you rent your home, select a drinking filtration system that can be taken to any residence old or new. There are many counter top filtration options for water that do not require any type of permanent installation. If you own your home, select a more permanent solution. Most under-sink and reverse osmosis options require installation, but still fall into the DIY category. These systems will have a designated tap that’s included with the purchase of the system. It’s also important to consider pairing a drinking system with a whole home filtration system to make sure you have clean, filtered water from every tap in your home. The estimate for how much water an average household uses depends largely on the number of people residing in the home. Break it down by determining how much water we should drink each day. For a household size of 2 people drinking the recommended ½ gallon of water per day, it equates to over 360 gallons of water per year. To compare, this is 3,000 bottles of water per year – over $3,560 of bottled water! The average cost per gallon for a drinking water filter is only 9 cents per gallon. Compare that to an average of $16 per gallon for bottled water, and the cost-savings of investing in a drinking water filtration system seems like a no-brainer. Decide which contaminants are most important to you to remove from your drinking water. Selective filtration gravity pitchers like Brita and Pur brought about the first awareness of drinking water filters. 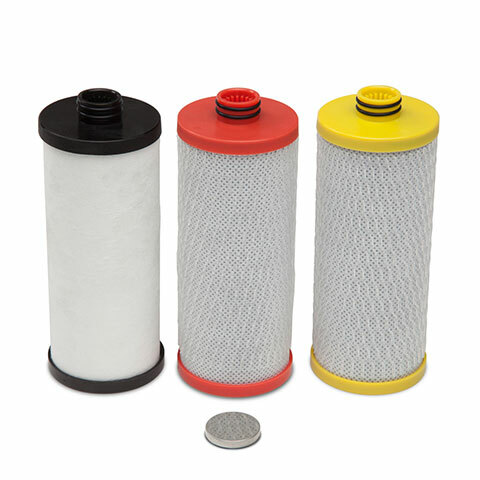 Many filters use carbon filtration technology to retain contaminants inside the carbon substrate, which prevents them from flowing through to the container. Through the process of absorption, contaminants collect on a filter media surface area and reduce the number of pollutants. Activated Carbon: Reduces pharmaceuticals, herbicides, pesticides, and VOCs. Ion-Exchange or Reverse Osmosis: Eliminates heavy metals like lead and mercury and remove fluoride. Most of these filtration types work to reduce a number of contaminants, but their media can range in effectiveness. Also, contaminant reduction improves as water stays in contact with the media for a longer period of time. In other words, not all filters are created equal. One of the most controversial ingredients found in tap water is fluoride. In the 1960s, the United States Public Health Service (PHS) recommended that fluoride be added to tap water to prevent tooth decay. Fluoride is now provided to public drinking water in approximately 3 out of 4 U.S. homes. Only a reverse osmosis system will remove fluoride from your drinking water. Reverse Osmosis (RO) filters use a semipermeable membrane to remove ions, molecules, and larger particles from drinking water. Reverse osmosis can remove many types of organic and non-organic pollutants from water, including bacteria. The issue with some RO filters is that they filter some of the good minerals and vitamins that are naturally found in tap water, such as iron and manganese. At Aquasana, our goal is to be ahead of the game – looking out for the newest emerging contaminants and stopping them from leaching into the water before most people even know it’s a problem. 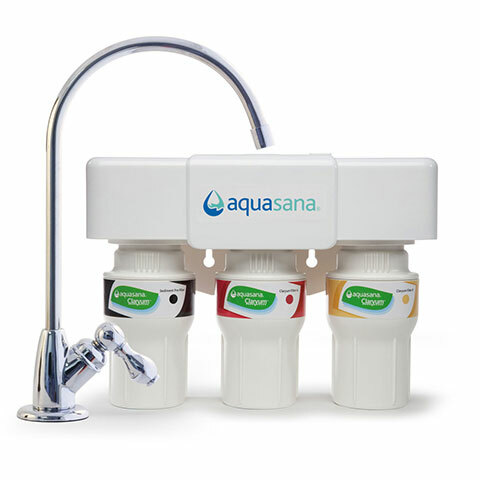 Unlike other selective filters, the Aquasana drinking filter systems meet NSF Standards 42, 53, 401, and P473. This means that the selective filtration systems have been tested and certified to reduce toxins such as: herbicides, pesticides, cysts, asbestos, volatile organic chemicals (VOCs), pharmaceuticals, chlorine resistant cysts like giardia and cryptosporidium, and more. The complete list is over 77 contaminants long. 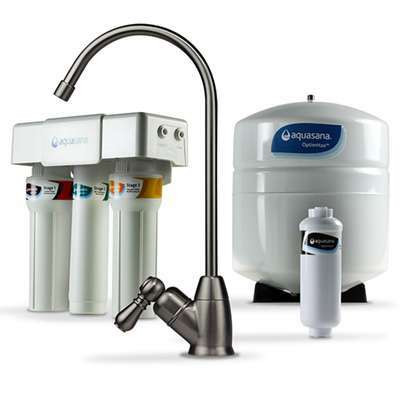 Aquasana’s Reverse Osmosis system removes 88 total contaminants. Aquasana’s Claryum®selective filtration is effective at removing over 96% of chlorine and chloramines, and over 99% of lead and mercury while continuing to retain the naturally occurring chemicals like calcium, magnesium, and potassium. This technology is used in the OptimH2O Reverse Osmosis System as well as all carbon filter systems to ensure that drinking water is as healthy as possible. Claryum®Countertop and the Clean Water Machine do not require permanent installation or fixtures, so they are easily transportable and great for the average renter. For a more permanent solution, the 3-Stage Claryum® Under Counter Water Filter “Max Flow”, and OptimH2O Reverse Osmosis + Claryum®Carbon Filtering + Remineralizer all provide obsessively engineered filtration and easy installation. Please visit the Aquasana Drinking Water Filter Comparison chart for full details. Whether you choose countertop filtration or an under-sink system, we recommend combining a drinking filter with a whole house water filtration system as the best choice. The whole home system will filter contaminants, including 97% of chlorine, from every tap in the home like the shower, dishwasher, and washing machine. Click here to check out the benefits of whole home filtration.